Please note: This content is also available in Dutch, click the link to go there. 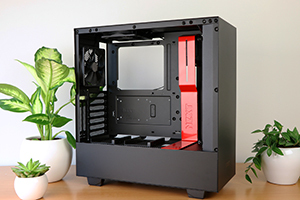 The new NZXT H500 / H500i cases are very solid successors to the S340 and S340 Elite cases. Still pretty to look at, still easy to build in and still very good value for money, but just a bit better in most respects. These full steel enclosures are of decent quality but it’s the finish in particular that’s improved and now its better than most cases in their price class (and we’ve seen most). 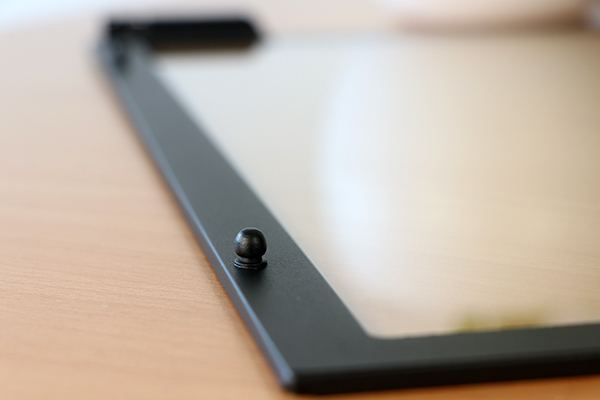 The tempered glass without any visible screws is also a nice plus. 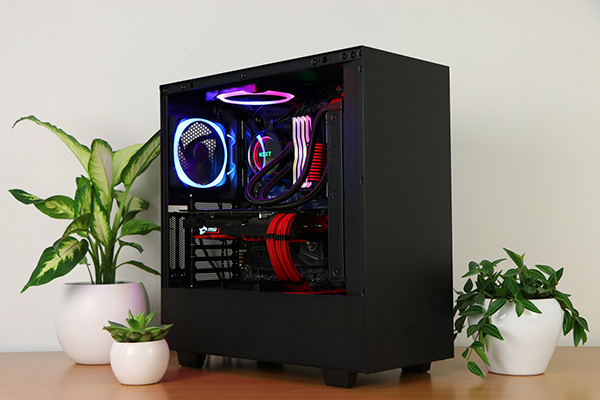 Internally you still find good cable management, a PSU cover, and plenty of space for most typical gaming rigs in an otherwise fairly compact ATX mid-tower. 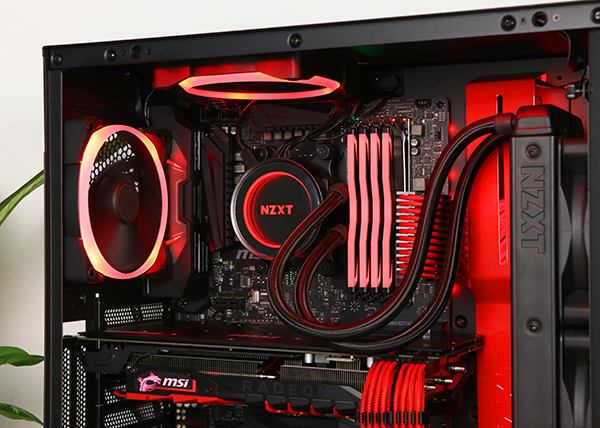 We measured good temps on a fairly decent rig (Ryzen 2 2700X / AMD Radeon RX 580) while also remaining quiet, although we do wish that NZXT added some sound dampening for mechanical harddrives; that HDD cage is getting a bit outdated. 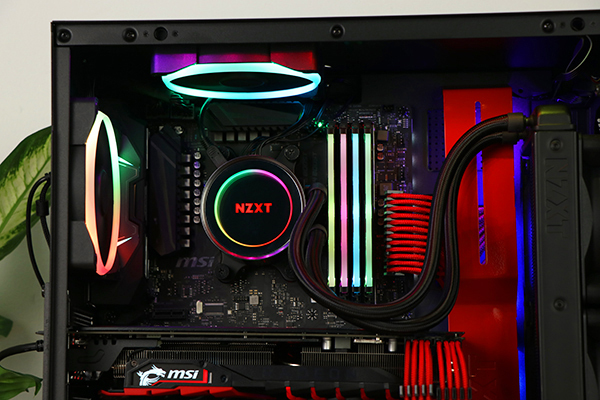 Other than that, the only thing we’re left wanting is a second channel on the otherwise great fan- and RGB LED controller so we can combine both the included LED strips and NZXT’s good looking Aer fans without having to buy another controller. Damn solid case though, and without a doubt one of the top contenders in this price bracket: 9/10. 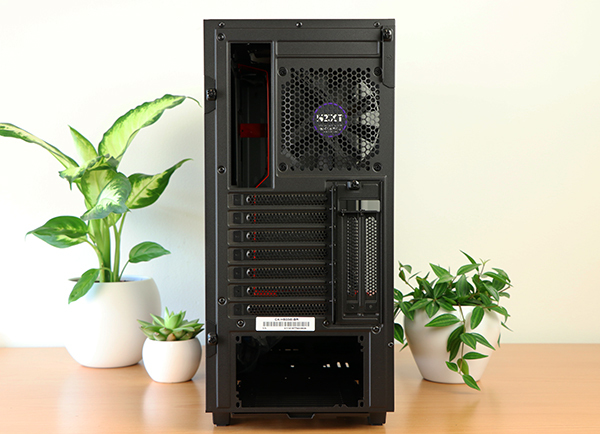 When we did a pc case roundup (80-100EUR/USD) last month we realized that the NZXT S340 has actually been around for 3,5 years, eons in terms of computer components. 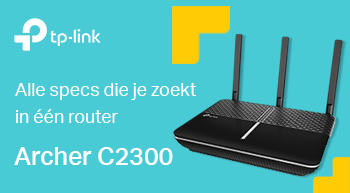 And for the majority of that time, at least here in the Netherlands, it was the most popular ‘affordable’ pc case on the market. It didn’t take a Brainiac to figure out why either: great value for money, solid build quality, a sleek design that fits the Western European mindset well, and it was one of the first cases that showed beginning pc builders that putting together a pc could be pretty damn easy by adding a PSU shroud and some handy cable management options. 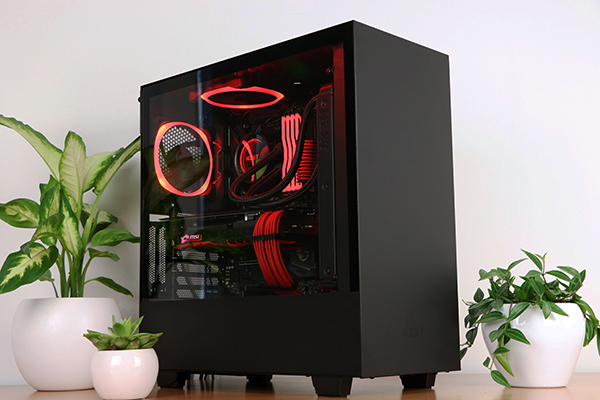 Not to say NZXT did nothing for 3,5 years:, the S340 saw several new colour schemes and an S340 Elite with tempered glass followed. 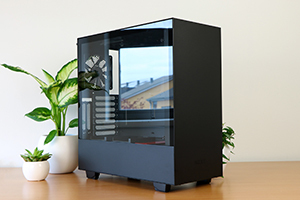 Back in 2014 tempered glass was a pretty cool new thing and every time In Win showed up with some new glass design we all gasped but come 2018 it has become a necessary part of any modern showcase enclosure. 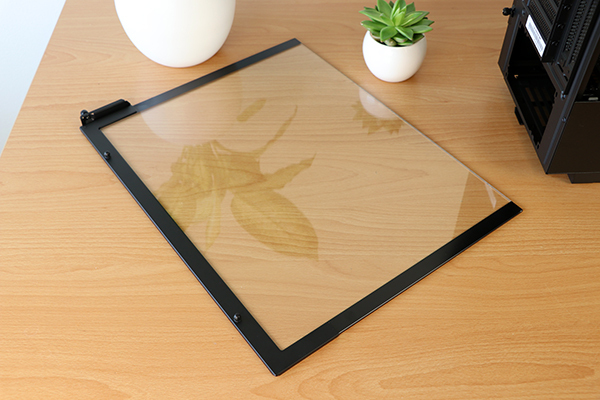 It looks better and more importantly: it looks a metric ton better after a few years of use than an acrylic window would. 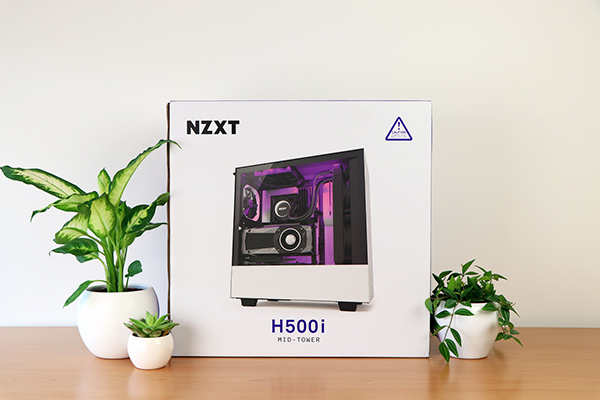 As NZXT brought the H700i, the spiritual successor of the NZXT H440, which we are still happily using here today, and followed up with a micro-ATX H400i and mini-ITX H200i, it was a matter of time for the somewhat dated S340 to get some modern day love. And that brings us to today, when NZXT launches their new H500 and H500i cases carrying 69 and 99 USD price tags respectively (ex taxes, it translates to 79 and 109 EUR here in the Netherlands). As before there will be several colour options and we’ll be working with the black-red one today. 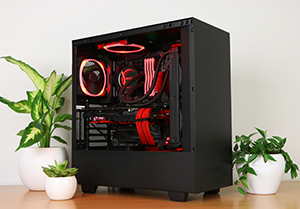 The H500 and H500i are the same in most respects: steel interior, steel exterior, full filters on all intakes, PSU cover, glass side panel (so no more acrylic, yay), space for water cooling, and pretty much most things you’d expect for a compact gaming system. The size is basically identical to the S340: a nice, compact mid-tower that’s just large enough not to sacrifice big GPU’s and water cooling. The H500-with-i simply has a few extra’s. 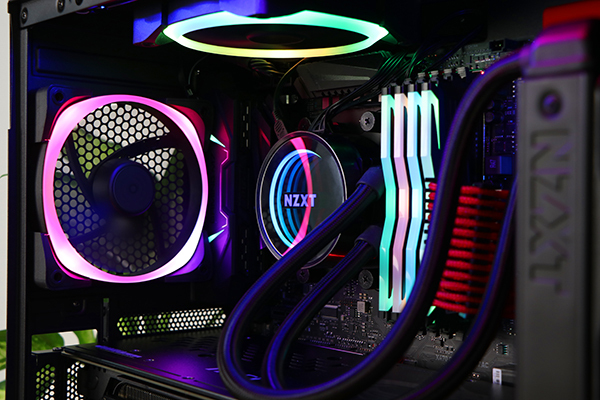 they added the smart hub which we saw in the H700i, which gives it both a smart fan option (for 3 fans) as well as an RGB controller for NZXT’s own Hue+ LED strips and Aer fans. They also included two of those strips to put that controller to good use; one is in the top of the case, the other behind the cable-cross-bar. We do wonder why the controller has only one RGB channel, because that means adding Aer fans to the factory-default strips would require another controller. 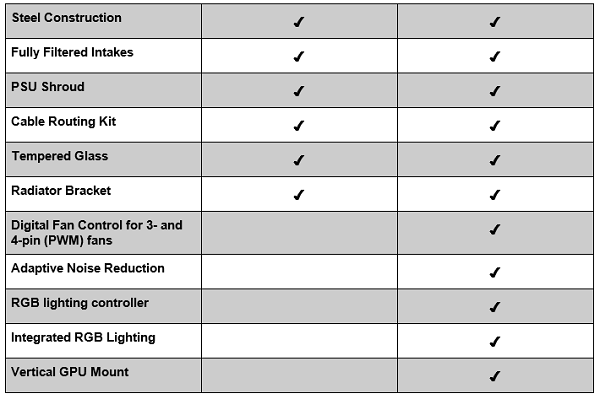 That extra controller requires an extra USB 2.0 header, and those are getting scarce. 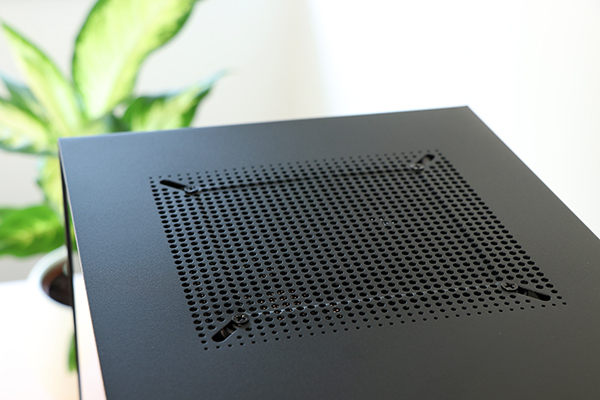 The controller also retains the active noise reduction feature from the H700i. 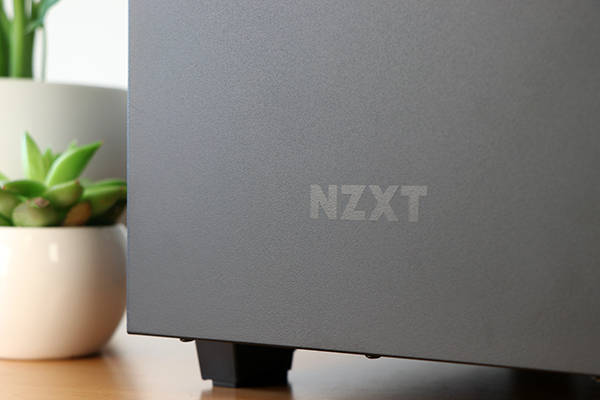 NZXT says it’s been improved, which was necessary as we weren’t impressed by the feature back then, however we’ll put that to the test at a later date. Other than that, not much strange as far as specs goes. Box, decent, attractive, seems decent enough to handle shipping and handling alright. 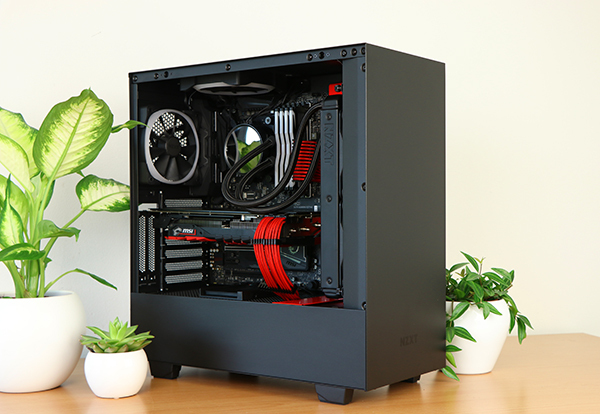 And there is our “hey it’s kinda like an S340.. but newer” NZXT H500i. 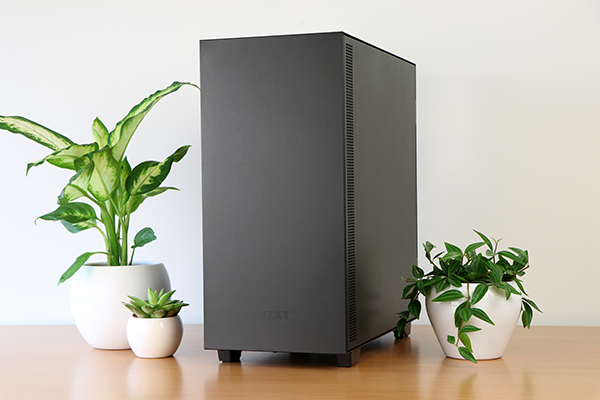 The resemblance with its predecessor is clearly there, especially from the front: no nonsense, just a clean metal front with a light NZXT branding and simple, non-intrusive feet. It looks and feels decent quality, nothing extreme like the H700i as far as metal thickness goes, but the finishing is obviously better than the S340 and the S340 Elite offered with better rounding of the edges, and no visual imperfections anywhere. Kudos for quality control. On the top we see the first real changes. The metal top now continues all the way to the front where the S340 had ventilation there (the H500 vents entirely from the side), that definitely looks cleaner. The top fan cover also looks cleaner, although we do wish it had an option to be fully closed (like with the Phanteks P400S). We also need to point out that the NZXT H500 and H500i only have two USB 3.0 headers where the S340 Elite had two more USB 2.0 plugs too (although, we desperately need those internal headers anyway) as well as the HDMI option for VR users. Main difference is on the tempered glass side. 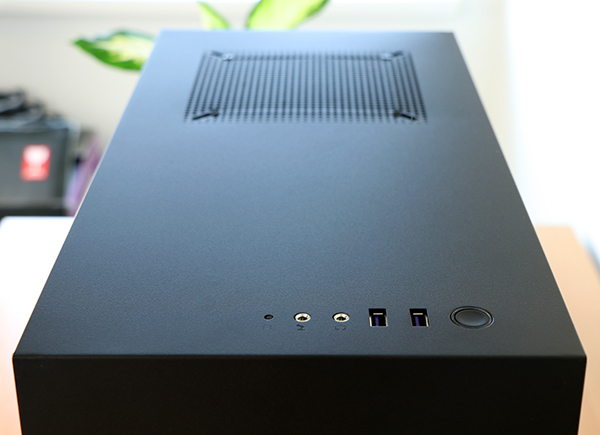 Similar to the Phanteks P300 NZXT decided not to pull the glass all the way down but leave the PSU compartment entirely separate, even though there is ventilation between the compartments. 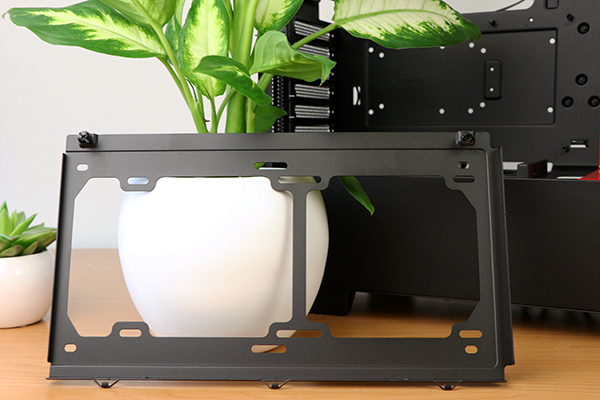 We understood from some other case designers that this is actually a significant cost saving feature, but more relevant to our consumer point of view: it looks pretty damn good to us. We especially appreciate the steps taken to keep the window cleaner. 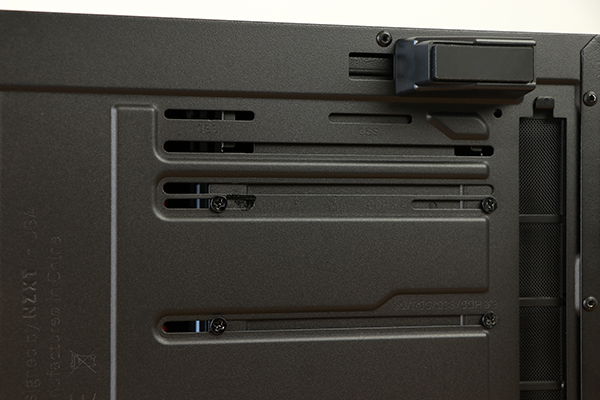 No thumbscrews or silly other alternatives, but a completely clean, uninterrupted window with a screw only on the back of the case. Really helps the clean look if you ask me. The only downside we can think of is that we can no longer see our fancy SSD’s like we could with the S340 Elite, but we can live with that. Nothing too crazy on the back and bottom. 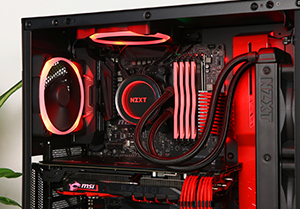 We see NZXT added a vertical GPU option, but we strongly advice against that anyway from a thermals point of view. 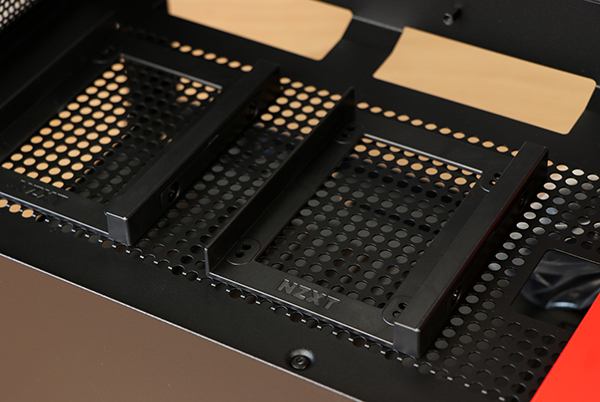 Bottom shows a removeable filter, adjustable HDD cage mount, and the standard NZXT feet we’ve seen before. 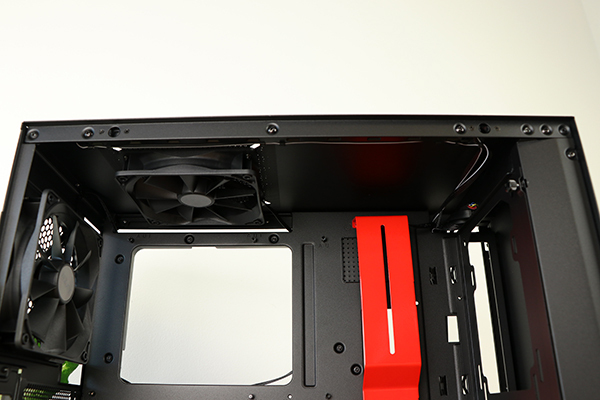 If we remove the right side panel we can see where the airflow comes from more easily, the lightly-over-an-inch wide gaps run from the top to the bottom of the case, which means it’s a larger breathing surface than the S340 had. Kudos to the way that panel is removed and placed back as well by the way, the way it drops in and closes is much more comfortable than most cases, especially when you have the back stuffed full of cables. 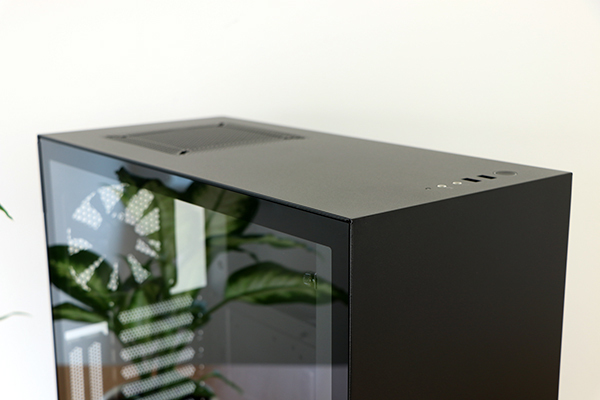 Without the side panels on we can feel the NZXT H500 is an affordable case, there really isn’t too much weight in the actual chassis. Having said that, considering the pricing we can’t really complain about that either. Similar to the S340 the H500 and H500i also come with two black fans in a default outtake configuration. 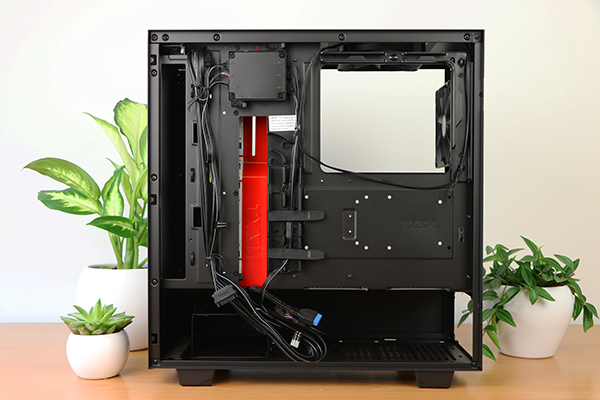 The rest of the internals reminds us both of the S340 Elite and the recent H-series cables: bar to hide your cables, SSD cages on the PSU shroud, similar ‘hole’ pattern to the H700i, and there is still space for watercooling in the front. Due to the front not being removable watercooling mounting requires you to remove the front bracket, which arguably makes it much easier to do. It’s all pretty recognizable NZXT, just a tad more evolved. 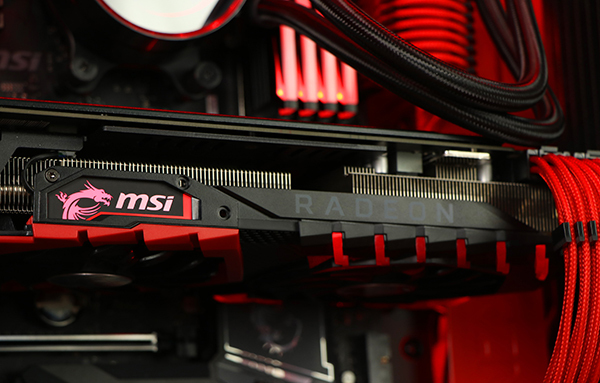 Behind the motherboard tray we also see a S340 Elite – H700i hybrid. Some recent developments such as the cable guides covered by Velcro is a good thing for most builds, but unfortunately doesn’t fit our extension cables which means those cable paths are more in the way than helpful. Even though there isn’t an insane amount of space, there turned out to be plenty for our build with extension cables, so nothing to complain about. 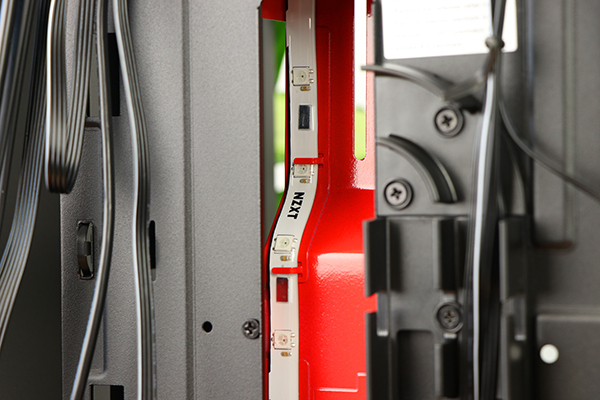 What helps especially is the door-design of the right side panel, which means opening and closing your build after it is done is actually a breeze. 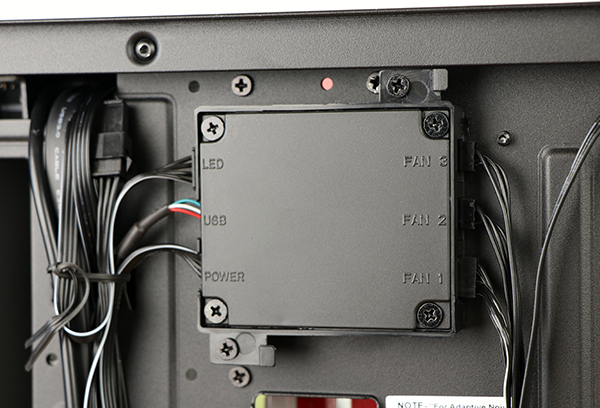 In the top we see the smart controller, with next to it one of the two Hue+ RGB LED strips. 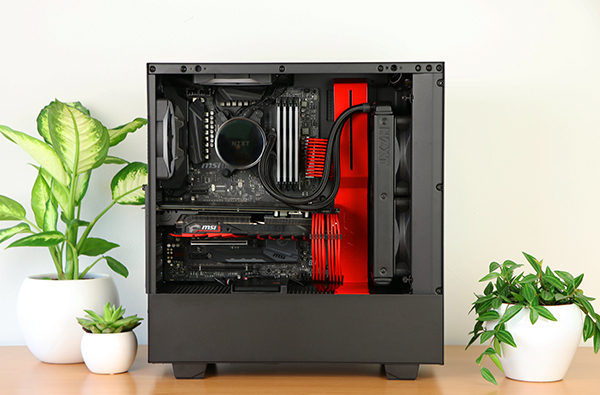 Obviously on a red version of the case it will make sense to set it to red or white, but for the black and white versions of the case it being RGB is a nice plus. As we saw with the S340 and S340 Elite the HDD cage is clearly an afterthought. As much as I’d love to see solid state systems only from now on, in reality many people will combine an affordable H500 with a small SSD and a larger HDD for their games. 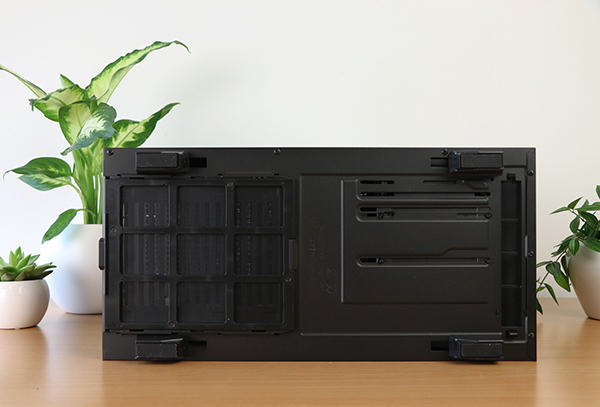 An easy tray instead of a screw installation, and some dampening for louder HDD’s would have been a good thing to add. 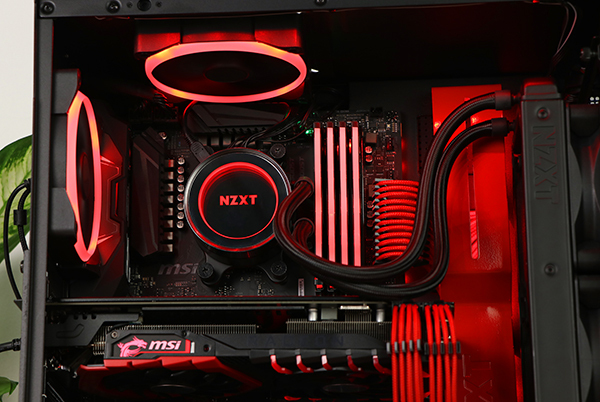 Obviously we have to call it NZXT H500i – Deadpool 2 Edition. 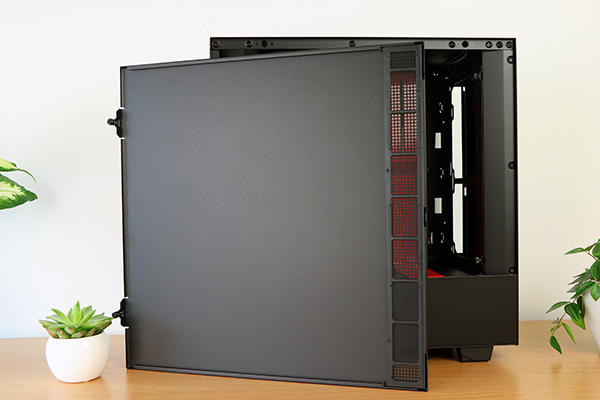 Not much to see in the back, we do recommend putting the PSU with the fan down so it creates it’s own airflow, the case itself keeps the bottom compartment pretty closed. 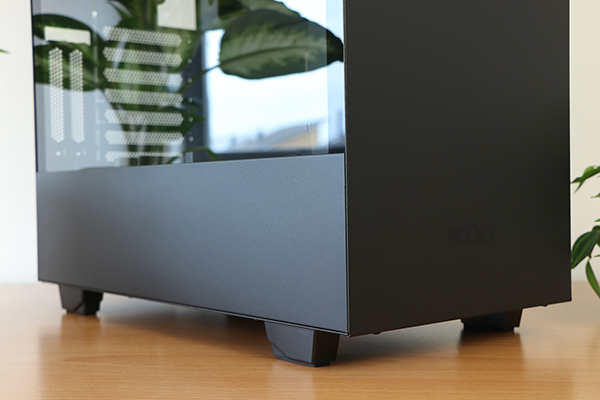 As we’ve seen with recent NZXT cases building this H500i is a breeze. 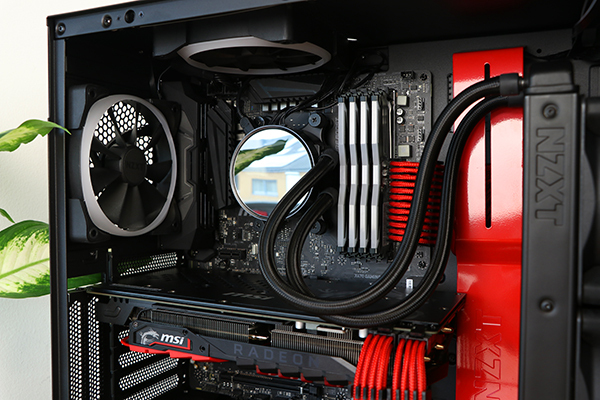 Plenty of space for a typical single-GPU gaming system like this one, plenty of cable management in the back (or enough space to ignore them if you work with extensions like we did), and the amount of work is fairly limited. Having to screw in mechanical harddrives is a bit meh, even if you can take that cage out first, and we need to point out that for our motherboard with dual 8-pin CPU power connector it was a bit tight in the top left corner. No real challenges though, easy enough for beginners too. For our build specifically, we did run into two issues. The NZXT Kraken X52, the case itself (smart hub) and the Hue controller we need for the Aer fans require a USB 2.0 header, yet our motherboard (and most motherboards) only offers two. That means we had to use the NZXT Internal USB hub to get a few more, but considering they cost about 20 euro’s here in the Netherlands (on an 80-110 eur case, plus the 30-ish eur controller as well!) that didn’t feel that great. NZXT: Give us two RGB channels on your smart hubs please, let people buy your cool strips and fans without having to buy in my opinion unnecessary extra base parts. 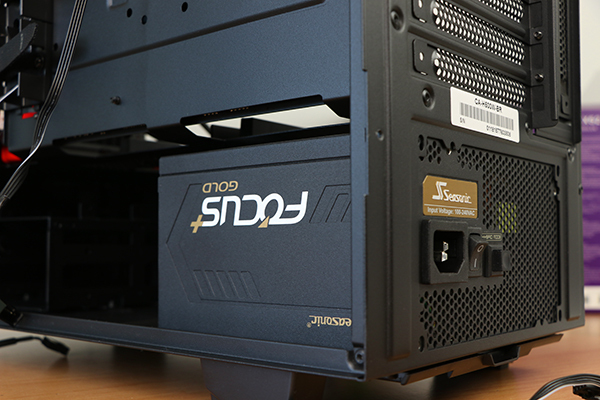 For our case reviews we make a decision to build matching builds per case, rather than a fixed test setup on all cases. That means that results aren’t direct comparable. Even though we do believe there is strong added value in that there are plenty of other reviewers to focus on that already. Building a ‘real’ system on the other hand allows us to get a better feel of the actual building experience, and it allows us to see the potential of the case from a visual point of view. Also the results we come up with still allow us to make statements about the performance. We ran the 3D Mark Fire Strike stress test several times which put our –peak- CPU temp at 40 C and average 38 C, which is ridiculously low considering the 23 C Ambient here. That’s without an overclock, but it’s clear there is plenty of potential there and the Kraken X52 isn’t being choked. In a proper CPU benchmark, we ran Blender Gooseberry bench, the CPU actually didn’t go over 44 C which is again really low and a good sign for the NZXT H500i. We recorded the case temperature at 38 C at the end of the game benchmarks, which is again low, and the peak on the motherboard sensors came to 49 C, which is also low. The MSI GPU we used ran about 68 C on an open bench, so we did expect it to run a bit warmer in a case behind an all-in-one. However with a 77 C peak and 75 C average in Fire Strike stresstesting we’d say that’s a pretty solid result and enough of an indication that we wouldn’t have concerns for people wanting to use either a GTX 1080 Ti or AMD Radeon RX Vega instead, it’s not like the RX 580 is a low consumption GPU. Sound production, well, is pretty much what you make of it. We picked hardware that we know won’t make a sound, and obviously it didn’t. We also know the stock fans on these cases can run whisper quiet if you want, so we don’t consider that a problem either. Considering the material thickness, we wouldn’t expect the H500i to hold too much back if you opt for loud components. 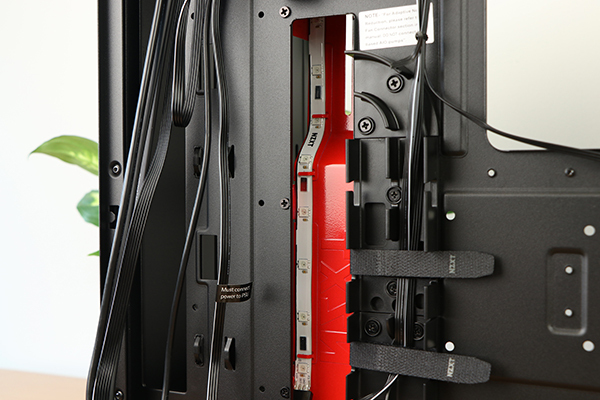 Especially the non-dampened HDD mount is something to consider before you pick a loud mechanical harddrive (read reviews, plenty of quiet ones but plenty of loud ones too). 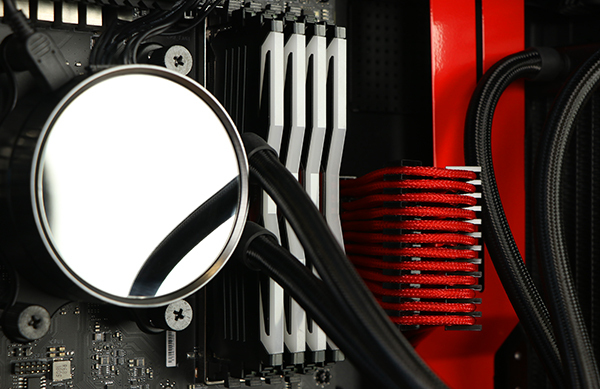 From our point of view however, there is no real reason not to keep the H500i quiet. 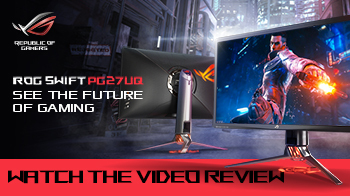 So again, we cannot compare as we didn’t use this combination of hardware before, but those are some pretty decent results that don’t give us any reason to worry about the NZXT H500 and H500i from a thermal point of view. 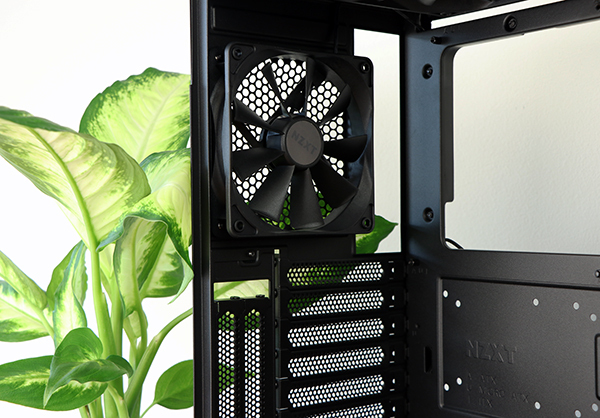 We would like to point out again that NZXT added a vertical GPU mount option in the H500 and H500i, something I don’t believe they did before. We understand it’s popular from a looks perspective, but so far all we have seen with other cases offering that feature is that it simply chokes the GPU unless there is a lot of space between the GPU and the sidepanel. There isn’t much space here, and besides the required (roughly 20 EUR/USD) riser cable isn’t included, so we really see no reason to even consider it. Perhaps they felt like they had to add it as it’s become a popular feature, but in our opinion you should only consider it if you’re going for a (custom) watercooled GPU which doesn’t rely on fans pulling in air onto the GPU itself. 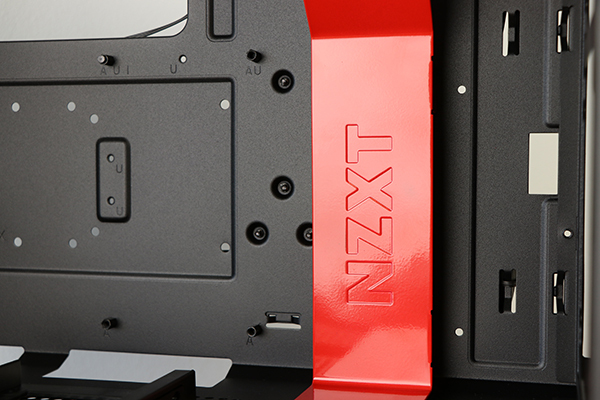 Even though we still see it at the top of popularity charts the NZXT S340 and S340 Elite cases were up for a refresh. And from that perspective, the H500 and H500i do a fantastic job. 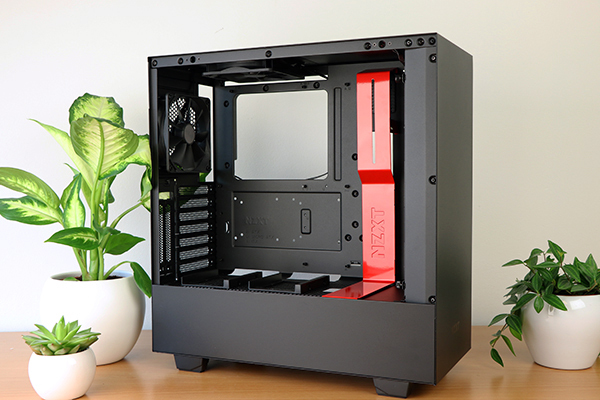 It’s not a huge revolution in the case industry that S340 was back in the day, but it’s a solid chunk of evolution from a design and especially from a detail perspective. Just the way the little external and internal details are taken care of puts the new H500 well ahead of its predecessor. We did a case roundup a month ago with a few 80-100 Euro cases, if we had the NZXT H500 back then (H500i ends up just over 100 EUR here) we would have put it at the top of our list. So no doubt this is as good as affordable cases get. It’s not completely perfect however, we do have a few things to pick at. First the basic HDD mounting could really have used some love and was clearly neglected. 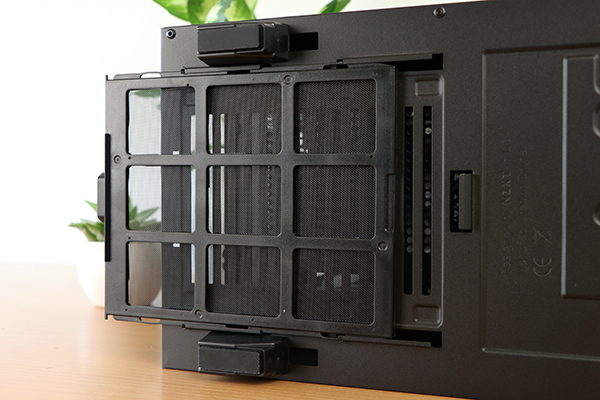 No nice rubber-dampened trays, but metal-on-metal screw-in mount just feels more 2014 than 2018, it also means you want to make sure you’re using quiet mechanical hard drives if you have to use one. The other main thing is the fact that even though we love the smart hub as a fan- and rgb controller we really feel it needs a second RGB channel. 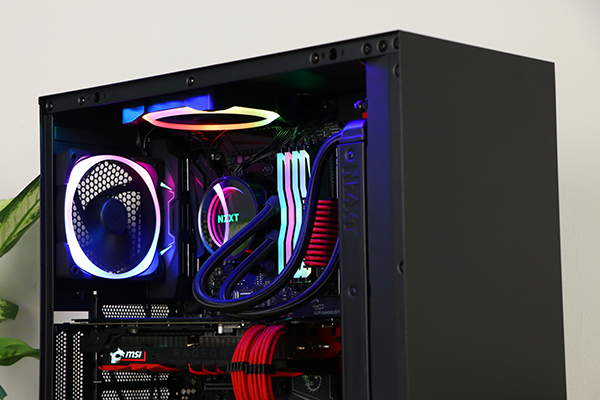 The one it has now is used up by the two LED strips that the H500i comes with (one at the top, one behind the coloured bar), which means that for our (really damn cool looking) NZXT Aer fans we need both a Hue+ controller (money) and an extra internal USB 2.0 hub (more money). We don’t mind nice stuff costing money, but we’re spending it on parts you won’t see and a second RGB channel would have prevented us from needing either. Minor details would be the fact that only two USB 3.0 ports up front isn’t a whole lot, and although the finish is great the metal thickness internally doesn’t compare to say the H700i. 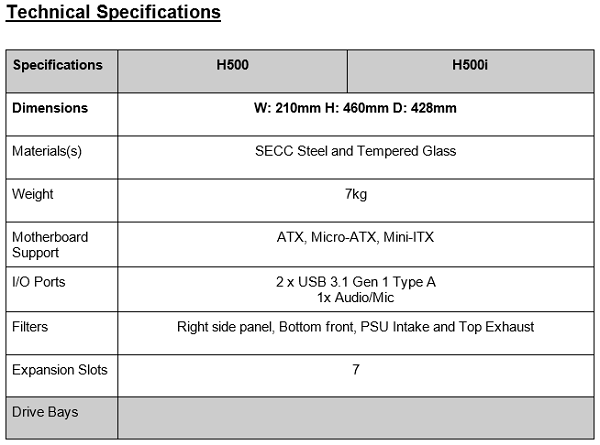 I am not expecting it to match a much more expensive case, I don’t even think it’s really a ‘minus’, but I do want to point it out before someone expects to buy something crazy like the H700i for the 69 USD that the H500 non-I will cost. The quality is good, but keep in mind the price bracket. 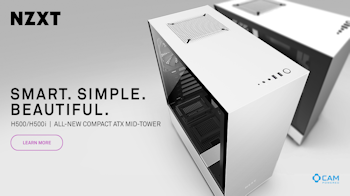 Still, we only see one path for NZXT’s H500 and H500i, and that is the one leading to become the most popular compact, affordable ‘clean’ mid-tower of its generation. Build quality is great (all steel) and the finish is actually fantastic for this pricepoint. 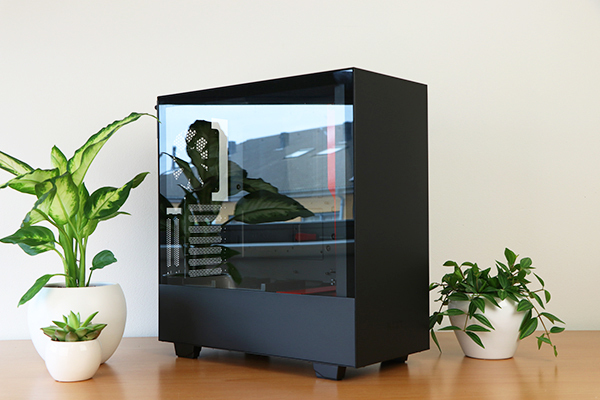 It has all the modern features we’d expect such as dust filters, a PSU shroud, great cable management, compact dimensions while still retaining options for full-size GPU’s and watercooling, and we see some very decent evolution for example in the way the tempered glass panel is mounted without any visible screws (at least from the front and side), as well as the way the rear panel goes on. 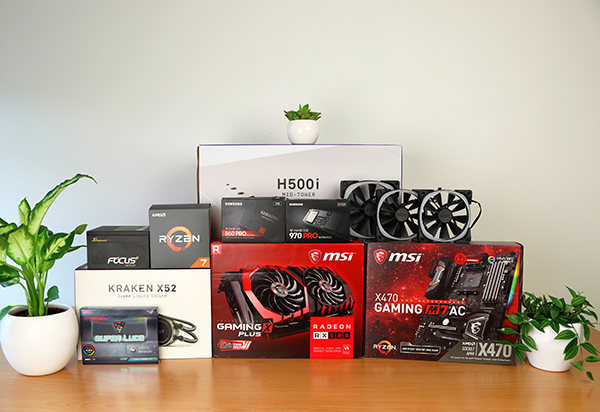 It remains easy to build in and with, it’s easy enough to keep quiet with a bit of attention to part selection, and we were really positively surprised by the cooling performance of or Ryzen 2700X and Radeon RX 580 combination. 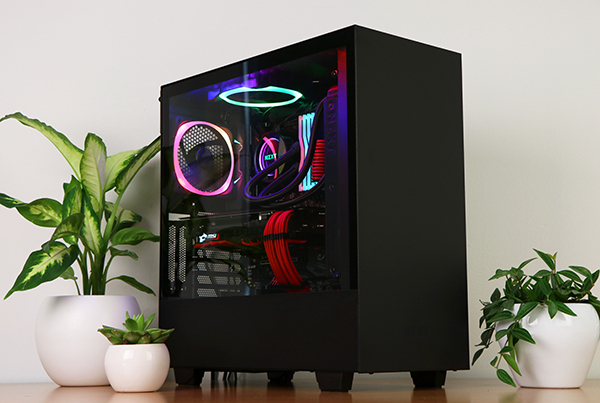 This combination of strong positives is exactly what we have tons of people asking us for when it comes to case advice, and NZXT delivers exactly what matters most to a big majority of pc builders. 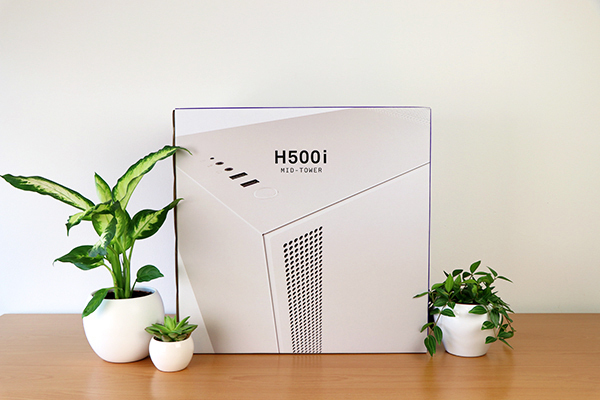 There is about 30 USD or EUR between the H500 and H500i, which means that the H500 will probably be the best selling of the two; obviously getting almost the same case at a near 50% price premium seems like a difficult sell. 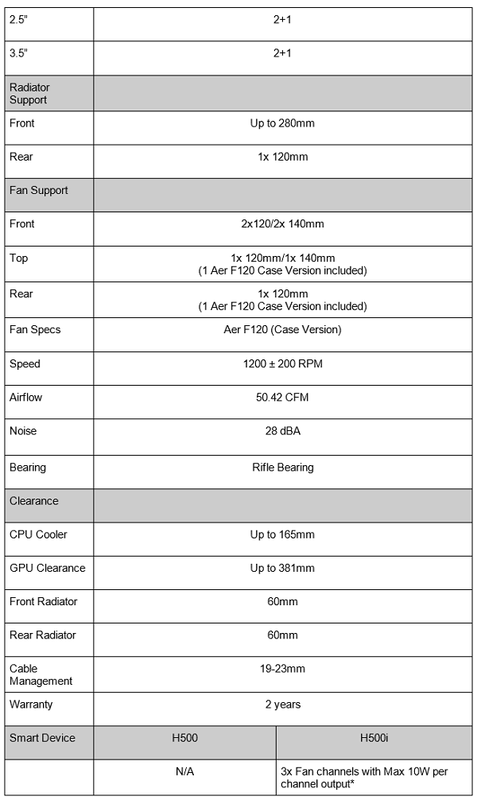 We wouldn’t count out the i-model though, because even if you ignore the adaptive noise reduction feature (we will retest that soon but weren’t impressed with the H700i) you still get a 3-fan fan hub, both for PWM and DC fans with tons of software control, an RGB controller and two addressable RGB LED strips with it; just that last part will cost you more if that’s what you’re looking for. We sure wish it was a full fledged dual-channel Hue controller, and we all know the smart device got a fair share of criticism the first time it came out, but the i-version still really not a bad deal for many who will appreciate some extra LEDs, but won’t go as far as buying fancy Aer fans; nice as they are, price-wise we’d say it fits with an H700i build better than an H500 one. So all in all, we actually really like both and considering some concessions are unavoidable in this price bracket we say that it doesn’t really get much better than this. Definitely some improvements we’d like to see next refresh, but we can’t think of a single model we’d place above this H500/H500i. 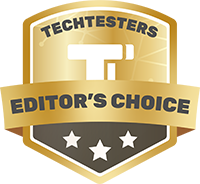 Editor’s Choice it is.